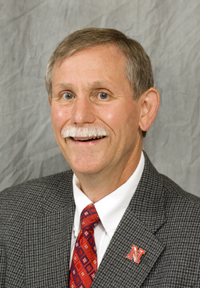 Dr. Baxendale has authored or co-authored over 220 Extension publications, trade journal articles, and other educational materials. The following represent an overview of the breadth and depth of his Extension publication record. For a complete listing of Baxendale's Extension publications, please refer to his CV at: http://entomology.unl.edu/faculty/baxendalecv.pdf. Steinegger, D.H., F.P. Baxendale, G.L. Horst, and D.T. Lindgren. 1991. Conserving Water in the Landscape. G91-1061. Univ. of Nebr. Extension. Ellis, M.D. and F.P. Baxendale. 1992. Getting Started in Beekeeping. G92-1104. Univ. of Nebr. Extension. Gaussoin, R.E., F.P. Baxendale, J.E. Watkins, and S.E. Hygnstrom. 1994. Pesticide Selection Guide for Nebraska Professional Turfgrass Managers. EC94-1558. Univ. of Nebr. Extension. Baxendale, F.P. and R.J. Wright. 1996. Insect Pest Management Strategies for Yards and Gardens. EC96-1555. Univ. of Nebr. Extension. Baxendale, F.P., S.T. Kamble, D.L. Keith, and J.A. Jones. 1996. Chiggers. NF96-296. Univ. of Nebr. Extension. Baxendale, F.P. and R.E. Gaussoin, eds. 1997. Integrated Turfgrass Management for the Northern Great Plains. EC97-1557. Univ. of Nebr. Extension. 256 p.
Riordan, T.P., F.P. Baxendale, R.E. Gaussoin, and J.E. Watkins. 1998. Buffalograss: An Alternative Native Grass for Turf. G96-1297. Univ. of Nebr. Extension. Ellis, M.D. F.P. Baxendale, and D.L. Keith. 1998. Protecting Bees When Using Insecticides. G98- 1347. Univ. of Nebr. Extension. Baxendale, F.P., S.T. Kamble, and M.D. Ellis. 2002. Stinging Wasps and Bees. G02-1447. Univ. of Nebr. Extension. Baxendale, F.P., T.E. Eickhoff, and T.M. Heng-Moss. 2002. Chinch Bugs in Buffalograss and Zoysiagrass. NF02-342. Univ. of Nebr. Extension. Baxendale, F.P., T.M. Heng- Moss, and C.K. Osterhol. 2005. Pesticide Selection Guide for Insect and Mites Affecting Woody Ornamentals and Herbaceous Perennials in Nebraska. EC05-1566-S. Univ. of Nebr. Extension. Eickhoff, T.E., C.M. Wasem, F.P. Baxendale, and K.W. Todd. 2006. Management of Japanese Beetle Adults. G1623. Univ. of Nebr. Extension. Baxendale, F.P. and T.M. Heng-Moss. 2007. Chinch Bugs, In Lamp, W.O., R.C. Berberet, L.G. Higley, and C.R. Baird, (eds). Handbook of Forage and Rangeland Insects. Entomological Society of America, Lanham, MD. p. 63-67. Baxendale, F.P., S.T. Kamble, and M.D. Ellis. 2008. Stinging Wasps and Bees. G1447. Univ. of Nebr. Extension. Baxendale, F.P. and J.A. Kalisch. 2009. Bagworms. G1951. Univ. of Nebr. Extension. Baxendale, F.P., M.D. Stamm, and T.M. Heng-Moss. 2009. Chinch Bugs in Buffalograss and Zoysiagrass Turf. G1952. Univ. of Nebr. Extension. Stamm, M.D. and F.P. Baxendale. 2009. Managing Ants on Golf Courses. G1959. Univ. of Nebr. Extension. Baxendale, F.P., T.M. Heng-Moss, J.A. Kalisch, and L. Ulrich, eds. 2009. Insectigator: Bug or Insect -- Do You Know The Difference? 4H4110. Univ. of Nebr. Extension. Kalisch, J.A. and F.P. Baxendale. 2010. Insect Borers of Shade Trees and Woody Ornamentals. Ogg, B.P., F.P. Baxendale, and J.A. Kalisch. 2010. Residential Mosquito Control. G2037. Univ. of Nebr. Extension. Baxendale, F.P. and D.J. Shetlar. 2012. Turfgrass Mealybugs and Scale Insects p. 59-61. In Brandenburg, R.L. and C.P. Freeman, (eds). Handbook of Turfgrass Insect Pests, 2nd ed. Entomological Society of America, Lanham, MD. Grant, J.A., Baxendale, F.P., and P.S. Robbins 2012. Turfgrass Pest Management, p. 80-86. In Brandenburg, R.L. and C.P. Freeman, (eds). Handbook of Turfgrass Insect Pests, 2nd ed. Entomological Society of America, Lanham, MD. Buss, E.A., Baxendale, F.P., T.M. Heng-Moss, and J.A. Reinert. 2012. Chinch Bugs, p. 105-109. In Brandenburg, R.L. and C.P. Freeman, (eds). Handbook of Turfgrass Insect Pests, 2nd ed. Entomological Society of America, Lanham, MD. Williamson, R.C., D.W. Held, R.L. Brandenburg, and F.P. Baxendale. 2013. Turfgrass Insects. In Stier, J., S. Bonos, and B. Horgan, (eds). Turfgrass Monograph, 3rd ed. American Society of Agronomy. Madison, WI. (In Press). Baxendale, F.P., J.M. Johnson-Cicalese, and T.P. Riordan. 1994. Tridiscus sporoboli and Trionymus sp. (Homoptera: Pseudococcidae): potential new mealybug pests of buffalograss turf. J. Kansas Entomol. Soc. 67(2):169-172. Johnson-Cicalese, J.M. *, F.P. Baxendale, T.P. Riordan, and T.M. Heng-Moss. 1998. Identification of mealybug (Homoptera: Pseudococcidae) resistant turf-type buffalograss germplasm. J. Econ. Entomol. 91(1): 340-346. Heng-Moss, T.M. *, F.P. Baxendale, and T.P. Riordan. 1998. Beneficial arthropods associated with buffalograss. J. Econ. Entomol. 91(5):1167-1172. Heng-Moss, T.M. *, F.P. Baxendale, T.P. Riordan, and L.J. Young. 1999. Influence of Rhopus nigroclavatus (Ashmead) (Hymenoptera: Encyrtidae) on the mealybugs, Tridiscus sporoboli (Cockerell) and Trionymus sp. Environ. Entomol. 28(1):123-127. Baxendale, F.P., T.M. Heng-Moss, and T.P. Riordan. 1999. Blissus occiduus Barber (Hemiptera: Lygaeidae): A chinch bug pest new to buffalograss turf. J. Econ. Entomol. 92(5):1172-1176. Heng-Moss, T.M. *, F.P. Baxendale, and T.P. Riordan. 2001. Interactions between the parasitoid Rhopus nigroclavatus (Ashmead) (Hymenoptera: Encyrtidae) and its mealybug hosts Tridiscus sporoboli (Cockerell) and Trionymus sp. (Homoptera: Pseudococcidae). Biol. Cont. 22:201-206. Heng-Moss, T.M. *, F.P. Baxendale, T.P. Riordan, and J.E. Foster. 2002. Evaluation of buffalograss germplasm for resistance to Blissus occiduus (Hemiptera Lygaeidae). J. Econ. Entomol. 95(5): 1054-1058. Heng-Moss, T.M. *, F.P. Baxendale, T.P. Riordan, L.J. Young, and K.W. Lee. 2003. Chinch bug resistant buffalograss: an investigation of tolerance, antixenosis, and antibiosis. J. Econ. Entomol. 96(6):1942-1951. Eickhoff, T.E. *, F.P. Baxendale, T.M. Heng-Moss, and E.E. Blankenship. 2004. Turfgrass, crop, and weed hosts of Blissus occiduus (Hemiptera: Lygaeidae). J. Econ. Entomol. 97(1):67-73. Heng-Moss, T., G. Sarath, F. Baxendale, D. Novak, S. Bose, N. Xinhi, and S. Quisenberry. 2004. Characterization of oxidative enzyme changes in buffalograss challenged by Blissus occiduus. J. Econ. Entomol. 97(3):1086-1095. Heng-Moss, T.M., F.P. Baxendale, T. Macedo, L. Franzen, L.G. Higley, and G. Sarath. 2006. Physiological responses of resistant and susceptible buffalograsses to chinch bug feeding. J. Econ. Entomol. 99:222-228. Anderson, W.G. *, T.M. Heng-Moss, and F.P. Baxendale. 2006. Evaluation of cool- and warm-season grasses for resistance to multiple chinch bug (Hemiptera: Blissidae) species. J. Econ. Entomol. 99 (1):203-211. Eickhoff, T.E. *, F.P. Baxendale, and T.M. Heng-Moss. 2006. Host preference of the chinch bug, Blissus occiduus. J. Insect Sci. 6:07. Huntington, T.E. *, L.G. Higley, and F.P. Baxendale. 2007. Maggot development during morgue storage and its effect on estimating the post-mortem interval. J. Forensic Sci. 52:453-458. Carstens, J. *, T. Heng-Moss, F. Baxendale, R. Gaussoin, K. Frank, and L. Young. 2007. Influence of buffalograss management practices on the chinch bug, Blissus occiduus Barber, and its beneficial arthropods. J. Econ. Entomol. 100 (1):136-147. Eickhoff, T.E. *, T.M. Heng-Moss, and F.P. Baxendale. 2007. Evaluation of warm-season turfgrasses for resistance to the chinch bug, Blissus occiduus. HortScience 42(3):718-720. Eickhoff, T.E. *, T.M. Heng-Moss, F.P. Baxendale and J.E. Foster. 2008. Levels tolerance, antibiosis and antixenosis among resistant buffalograsses and zoysiagrasses. J. Econ. Entomol. 101(2): 533-540. Carstens, J.D. *, F.P. Baxendale, T.M. Heng-Moss and R.J. Wright. 2008. Predation of the chinch bug, Blissus occiduus Barber (Hemiptera: Blissidae) by Geocoris uliginosus (Say) (Hemiptera: Lygaeidae). J. Kansas Entomol. Soc. 81(4):328-338. Rethwisch, M.D., F.P. Baxendale, and D.R. Dollison. 2009. First report of northern mole cricket damage on a Nebraska golf course (Orthoptera: Gryllotalpidae). J. Kansas Entomol. Soc. 82(1):103-105. Gulsen, O., T.E. Eickhoff, T.M. Heng-Moss, R.C. Shearman, F.P. Baxendale, G. Sarath, and D.J. Lee. 2010. Characterization of peroxidase changes in resistant and susceptible warm-season turfgrasses challenged by Blissus occiduus Barber. J. Arthropod-Plant Interactions. 4: 45-55. Johnson-Cicalese, J.M. *, F.P. Baxendale, T.P. Riordan, T.M. Heng-Moss, and L.M. Baird. 2011. Evaluation of buffalograss leaf pubescence and its effect on mealybug (Homoptera: Pseudococcidae) host selection. J. Kansas Entomol. Soc. 84(1): 71-77. Tangtrakulwanich, K. *, H. Chen, F. Baxendale, G. Brewer, and J. Zhu. 2011. Characterization of olfactory sensilla of Stomoxys calcitrans and electrophysiological responses to odorant compounds associated with their host and oviposition media. J. Medical and Veterinary Entomol. 25 (3): 327â€“336. Schaeffer, S.K. *, F.P. Baxendale, T.M. Heng-Moss, R.D. Sitz, G. Sarath, R.B. Mitchell, and R.C. Shearman. 2010. Characterization of the arthropod community associated with switchgrass (Poales: Poaceae) in Nebraska. J. Kansas Entomol. Soc. 84(2): 87-104. Stamm, M.D. *, F.P. Baxendale, T.M. Heng-Moss, B.D. Siegfried, E.E. Blankenship, and R.E. Gaussoin. 2011. Dose-response relationships of imidacloprid, thiamethoxam, and clothianidin to Blissus occiduus (Hemiptera: Blissidae). J. Econ. Entomol. 104 (1): 205-210. Zhu, J.J., A. Li, S. Pritchard, K. Tangtrakulwanich, F. Baxendale, and G. Brewer. 2011. Contact and Fumigant Toxicity of a Botanical-based Feeding Deterrent of the Stable Fly, Stomoxys calcitrans (Diptera: Muscidae). J. Agric. Food Chem. 59 (18): 10394-400. Zhu, J.J., D.R. Berkebile, C.A. Dunlap, A. Zhang; D. Boxler, K. Tangtrakulwanich, R.W. Behle, F. Baxendale, and G. Brewer. 2012. Nepetalactones from essential oil of Nepeta cataria represent a stable fly feeding and oviposition repellent. J. Medical and Veterinary Entomology 26(2):131-138. Stamm, M.D. * T.M. Heng-Moss, F.P. Baxendale, B.D. Siegfried, R.E. Gaussoin, D.D. Snow and D.A. Cassada. 2012. Effect of distribution and concentration of topically applied neonicotinoid insecticides in buffalograss, Buchloe dactyloides, leaf tissues on the differential mortality of Blissus occiduus under field conditions. Pest Management Science. Onlinelibrary. Wiley.com (DOI: 10.1002/ps.3387). Doehling, C. *, F. Baxendale, T. Heng-Moss, and W. Schacht. 2012. Comparison of pasture management strategy on the abundance of four target beetle groups. Review of Undergraduate Research in Agricultural and Life Sciences. Vol. 7 , Iss. 1, Art. 2.